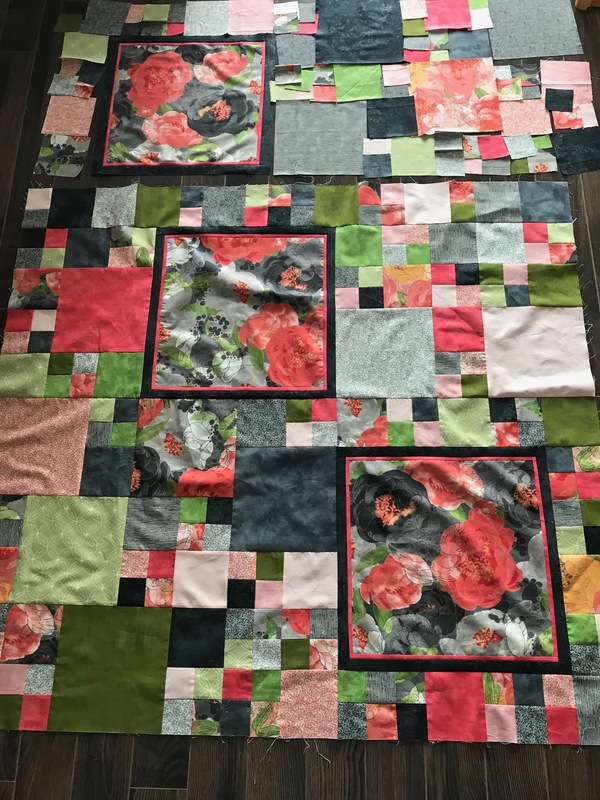 I’ve just completed 2/3 of the assembling of the Blushing Peonies quilt top and I can see I’m not going to be happy with the asymmetrical position of the middle large block! So first thing tomorrow I will open sections of the pieced middle so I can move the large block over 4″ to center it in the panel. Then I’ll piece the top 1/3 – that will go fairly quickly once I have the elements in the middle 1/3 moved around.